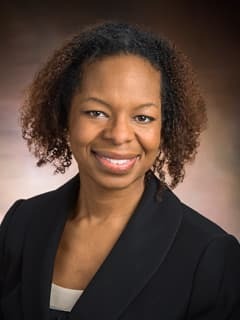 Aletha Y. Akers, MD, MPH, FACOG, is Medical Director of Adolescent Gynecology Consultative Services in the Division of Adolescent Medicine at Children's Hospital of Philadelphia. Aletha Akers, MD, MPH, FACOG, is an Adolescent Gynecologist and Medical Director of Adolescent Gynecology Consultative Services in the Craig-Dalsimer Division of Adolescent Medicine. Dr. Akers will provide adolescent gynecology services including contraception services with long-acting reversible contraception implants (Nexplanon) and intrauterine devices, which are the preferred method of contraception for many young women, particularly those with chronic illnesses. She will be responsible for developing a new inpatient Gynecology Consult service at The Children’s Hospital of Philadelphia. This service will be developed in collaboration with Hospital of the University of Pennsylvania (HUP) gynecologists, and function as a supplement to the existing Adolescent Medicine consult service. She will also provide inpatient gynecology services at HUP for one month a year. Dr. Akers received her BA at Bryn Mawr College, her MD at Johns Hopkins University School of Medicine, and completed her OB/GYN residency at the University of Michigan. She completed a Robert Wood Johnson Foundation Clinical Scholars Program and an MPH at the University of North Carolina – Chapel Hill. Dr. Akers has received research funding from the Robert Wood Johnson Foundation, Harold Amos Minority Faculty Development Program and NIH. Her research examines the psychosocial determinants of adolescent sexual behaviors and reproductive decisions, with an emphasis on family, partner and peer influences. She also develops and evaluates clinic and community-based interventions to improve adolescent reproductive health.